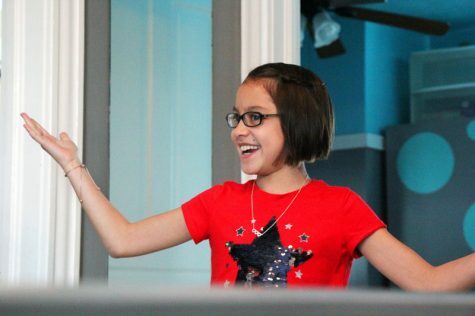 Usually, a buy game with students home for winter break wouldn’t garner much attention. This one is different; it’s the first game in which redshirt sophomore Harry Froling is eligible to play. 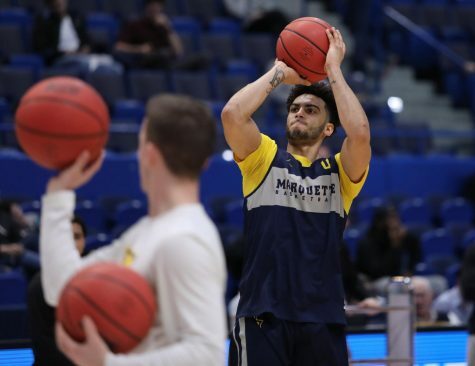 Froling came to Marquette via Southern Methodist University, where he played one semester before transferring. 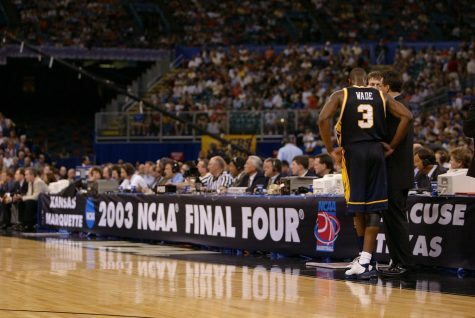 NCAA transfer rules have forced him to sit out since then. 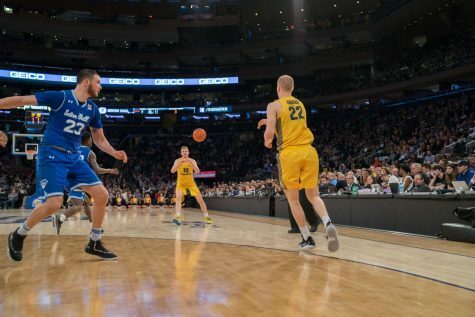 Marquette could use a boost from the 6-foot-11 Australian big man. 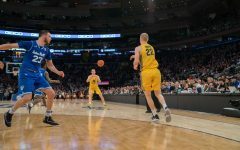 Junior Matt Heldt and freshman Theo John, the only other traditional big men, have shown improvement this year, but John is prone to foul trouble while Heldt is more of a defender and rebounder than a scorer. 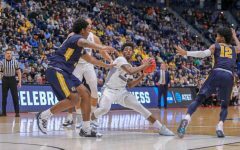 Having another offensive option down low would go a long way toward balancing the Golden Eagles’ heavy perimeter emphasis. 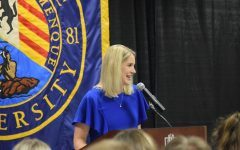 Women’s basketball head coach Carolyn Kieger said scheduling tough non-conference competition was intentional to challenge her team. 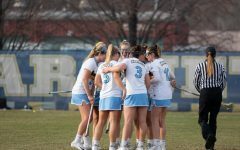 She’ll get exactly what she hoped for Wednesday when the Golden Eagles go on the road to face the No. 2 Notre Dame Fighting Irish. 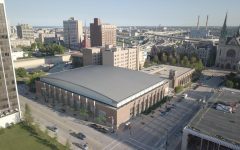 Notre Dame’s biggest threat is a player from Marquette’s backyard. 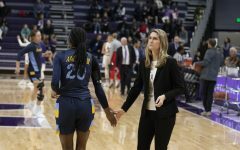 Arike Ogunbowale, who attended Divine Savior Holy Angels High School in Milwaukee, is averaging 20.7 points and 5.8 rebounds per game for the Fighting Irish. She’s one of the best spot-up shooters in the country. Unlike last year, the Golden Eagles don’t have a truly quality non-conference win, having lost by single-digits to three ranked opponents. 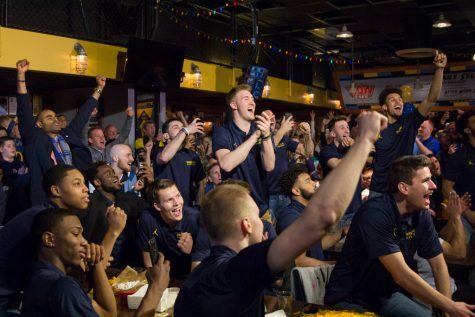 Notre Dame is Marquette’s last chance at scoring a resume win before BIG EAST play commences. Conference openers don’t get much tougher than this. Xavier is ranked No. 10 in the country and is a credible threat to knock Villanova off its perennial perch atop the BIG EAST Conference. Senior guard Trevon Bluiett averages 21.7 points per game on 54 percent shooting, which makes him one of the conference’s most efficient scorers. 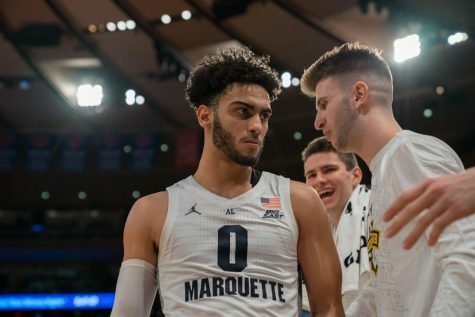 Last year, Marquette swept the Musketeers, accounting for two of Xavier’s six consecutive losses toward the end of the season. 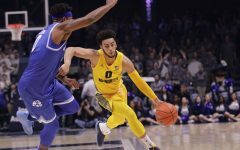 Xavier typically employs a 1-3-1 zone on defense, which makes life tough on ball-handlers but is usually susceptible to corner threes. 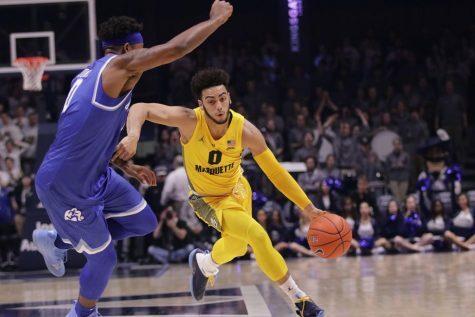 Although the Musketeers will be favored, Marquette’s 40.1 percent mark on 3-point shots indicates more of a chance for the home team than initially meets the eye. 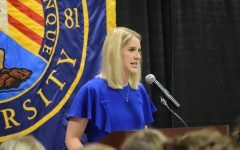 Last year’s women’s basketball team announced its arrival on the national stage by beating DePaul three times including once in the BIG EAST title game, snapping Marquette’s seven-game losing streak against the Blue Demons. DePaul will have to rely on a much different core than last year’s to deliver that payback. Star point guard Jessica January and all-conference scorer Brooke Schulte graduated at the end of the 2016-’17 season. That doesn’t mean DePaul’s offense has slacked off; the Blue Demons average a BIG EAST-leading 89.7 points per game. 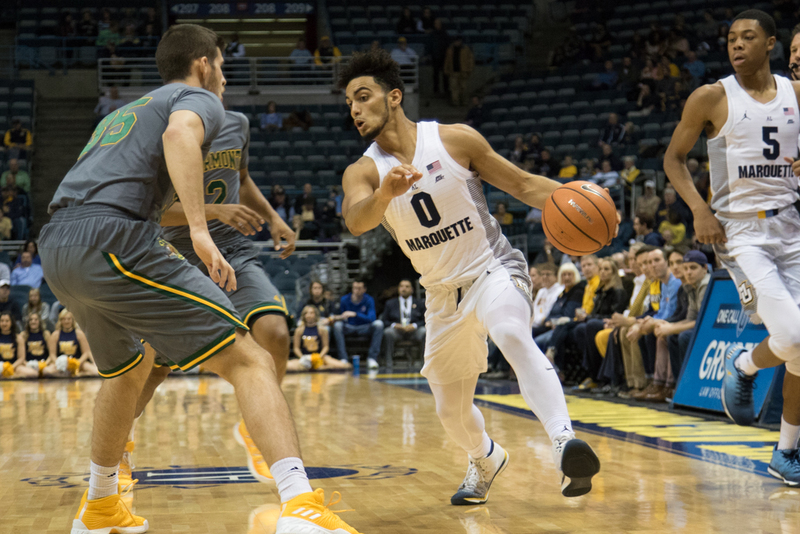 Marquette will have to overcome its defensive limitations to beat the reigning BIG EAST regular season champions. No team in the country has looked more complete through the first month of the season than Villanova has. 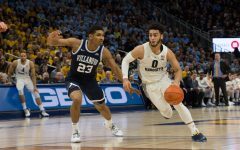 The Wildcats are 11-0 and have a good chance of remaining undefeated going into their game against Marquette in the Wells Fargo Center. While Marquette’s home upset over Villanova Jan. 24 will certainly live on in Golden Eagle lore, last year’s road matchup turned out as expected. 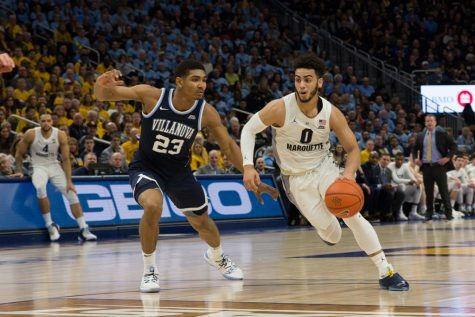 Villanova shot 65 percent from the field and beat Marquette in a game that was far more lopsided than the 93-81 final score would suggest. 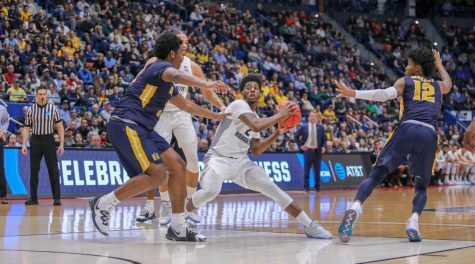 This year’s Villanova squad is indisputably deeper than the one that Marquette saw last year; the Wildcats have nine players seeing significant minutes as opposed to seven in 2016-’17.